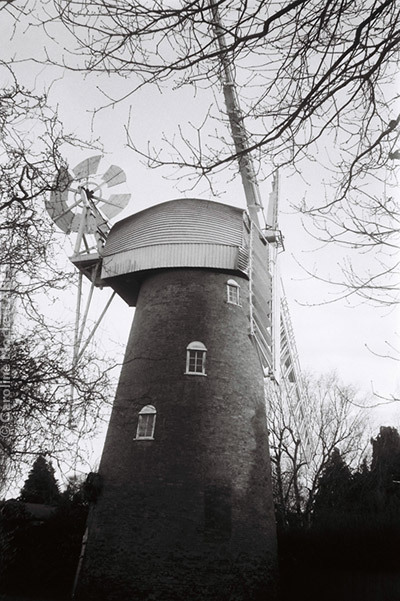 Notes: A quick trip to the pretty village of Stock to visit the windmill provided today’s image. It’s quite tricky to make a decent shot as there is only limited access unless there is an open day. Notes: I drove home from Newcastle today, stopping off on the way to visit my friend Victoria, who lives near Cambridge. 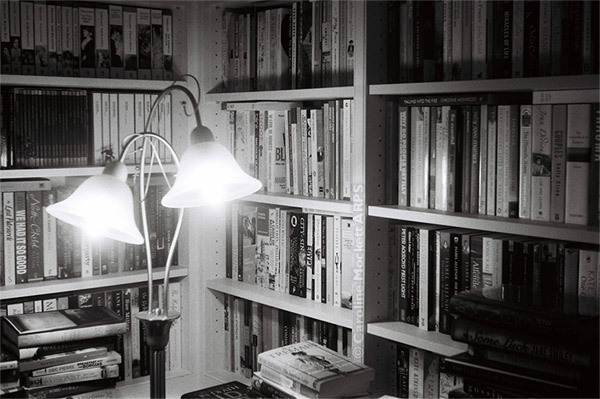 She’s an avid reader and many of the walls in her house are covered from floor to ceiling in bookshelves. This is a cosy nook in the library. Perfect for Treasure Hunt Theme #51 – Welcoming. Notes: A sunny day today, so we went for a visit to St. Peter’s Basin. 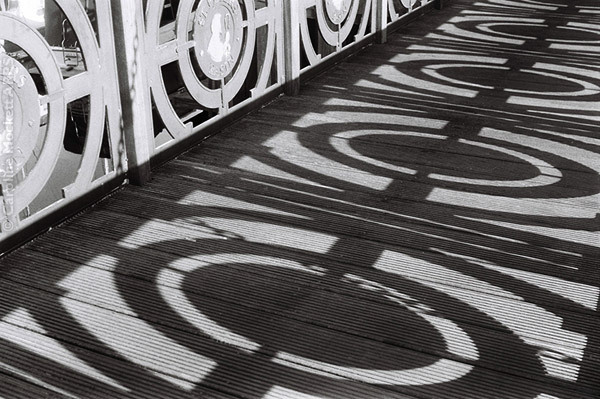 There is always plenty to see there, and the bascule bridge produced some fantastic shadows with the sun on the railings. 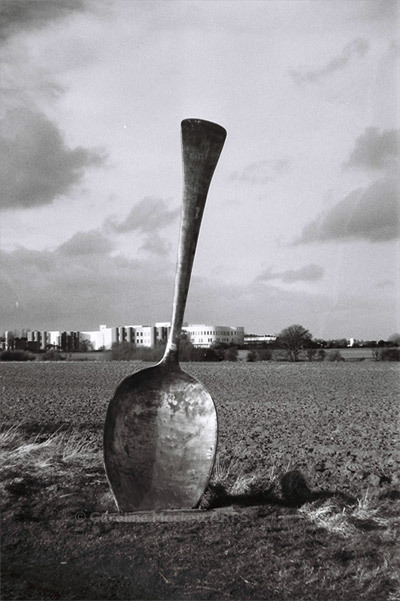 Perfect for Treasure Hunt Theme #02 – Monthly Project – February. Notes: A sunny start to the day provided us with an excuse to have a walk round the Royal Quays Marina. 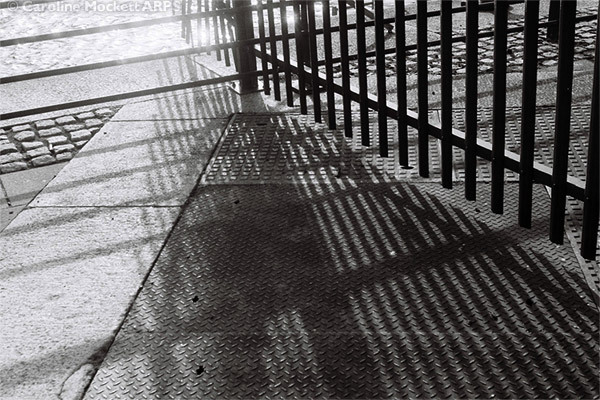 I captured these great shadows around the railings near the lock. Notes: This is a rather fun piece of art we found while geocaching along a footpath near Cramlington in Northumbria. It’s called Eat For England. Notes: We enjoyed meeting up with friends to celebrate Chinese New Year today, but the weather was pretty grotty, so I was reluctant to expose the Contessa to the rain. 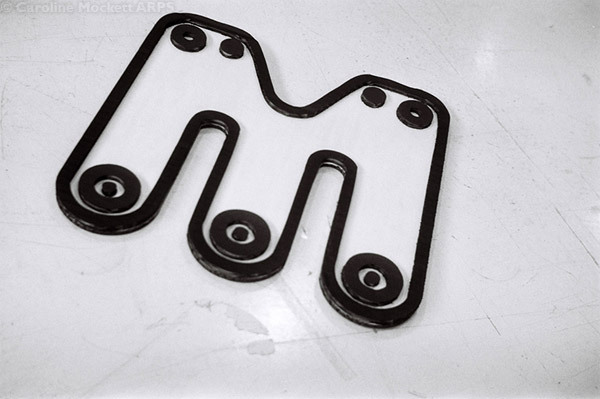 Instead I opted for photographing the M logo when we popped into Maker Space for a cup of tea on the way home.